Industrial design of bed becomes some time unaffordable to people having average income. But the beds also held much necessary to any home. 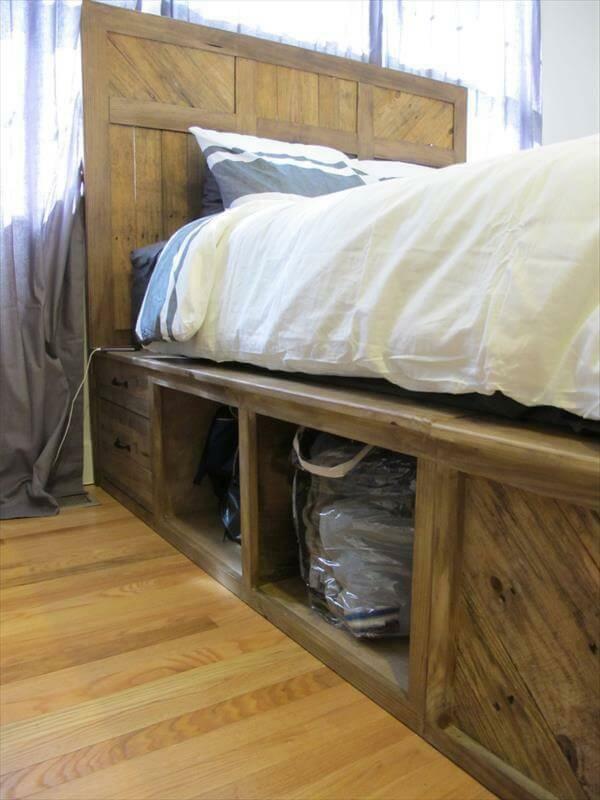 If you are really suffering a short budget and income and have a wish to have a bed then this DIY pallet bed with storage and headboard idea will be a perfect and cheapest plan to get a sturdy bed frame. 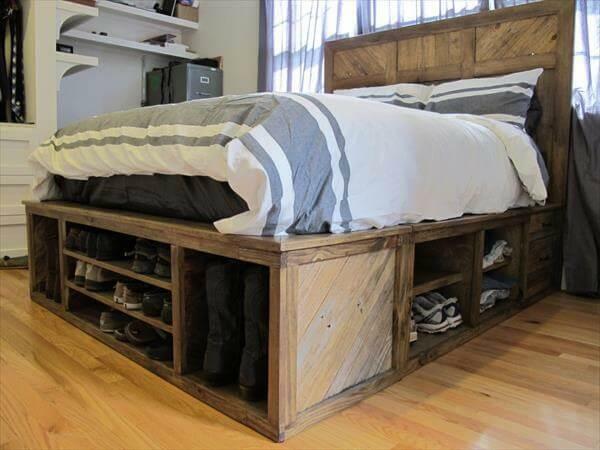 We have reclaimed this DIY pallet bed out of shipping pallets in customized dimensions. 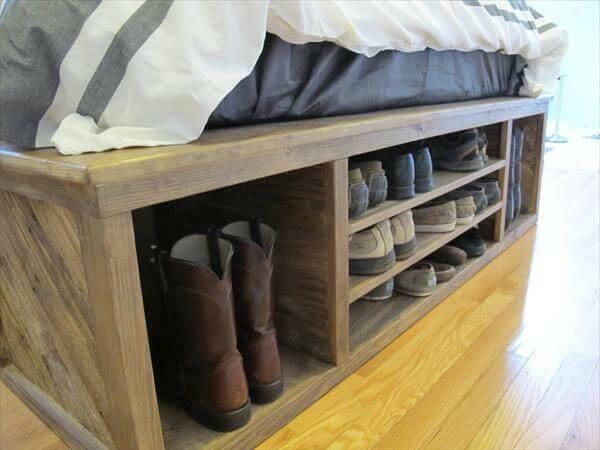 We have added it a great storage feature in it for clothes, books and shoes. We have shaped this up with an arresting DIY pallet shelves and cabinet scheme at all sides which offer a very wide and organized space for exclusive storage of households and domestic accessories. 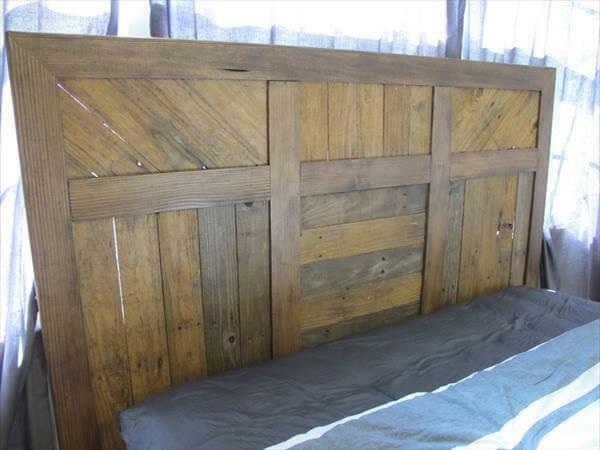 We have also reclaimed a DIY pallet headboard out of pallets for our bed frame to make a complete and overcoming display. 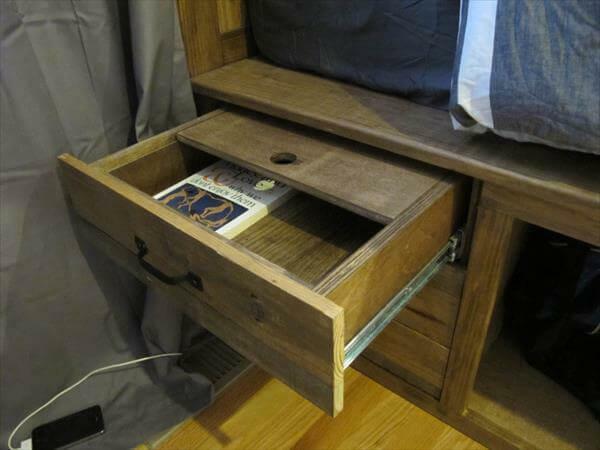 Some rustic drawers have also been made the part of construction which can secure your private tools and concerns like mobiles phone, medicines and magazines.